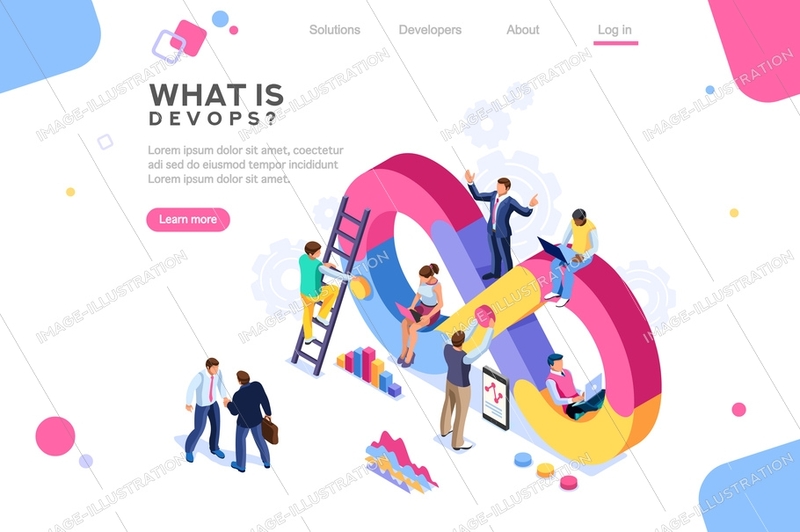 Concept DevOps stock images by Aurielaki. Isometric Banner illustrations in EPS10 EPS JPG AI SVG. Programmer, user administrator, professional engine. Software support to build banner infographic. administration images flat technician concept, DevOps images. Isometric illustration. SKU: Concept-DevOps-Banner-Isometric-AurielAki. Category: Isometric Business People. Tags: abstract office, administration, administrator, agile, architecture, background, banner, build, business, can, character, coder, coding, communication, computer, concept, crm, developer, development, devops, engine, engineer, engineering, experience, flat, freelance, hero, images, infographic, integrated, isolated, isometric, monitoring, network, office, professional, programmer, programming, software, support, system, team, teamwork, technician, technology, test, user, web, white, work.